We’re seeing big leaps in the passive optical network market and it’s only expected to continue growing. The optical network market is booming. This is in large part due to the number of industry titans investing in the technology, as well as trials being run that really highlight the potential of what the technology can do. Part of what is inciting such an interest in the technology is the involvement of those investors on every level—not just in creating a more global optical infrastructure, but in actually translating that experience to end-users. This, along with contributions by governments to fund research and development as well as partnerships between companies working on every level of optical networking, has contributed to the ever-developing optical network market growth. There’s a growing demand for high-speed, high data rate applications that require the global fiber optics market to adapt and grow itself. There’s also an increasing demand for cost-effective but power-efficient IT infrastructures from businesses who are beginning to rely more on telework as well as effective global communications technologies. 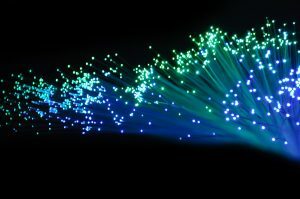 The market is also experiencing exponential growth due to the number of components involved in creating fiber networks, including connectors, sensors, and the fiber optic cables themselves. According to some market forecasts, the passive optical network (also known as PON) market is projected to account for over $10 billion USD by 2025. This could change depending on a lot of factors, including large companies merging or even just partnering. Remember too that this market evaluation would encompass the entirety of optical networking, including the technologies itself as well as applications. FiberPlus has experience with PON networking, so be sure to let us know if we can assist you. This entry was posted on Friday, September 14th, 2018	at 2:03 pm	. You can follow any responses to this entry through the RSS 2.0 feed. Both comments and pings are currently closed.